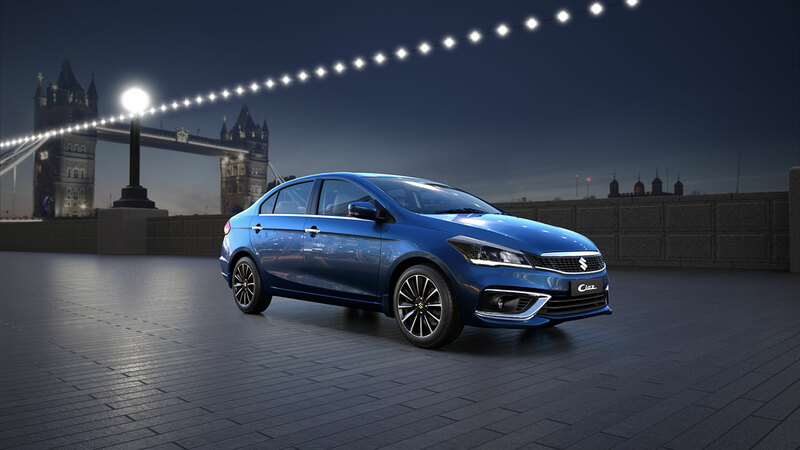 After days of speculation, Maruti has finally launched the updated Ciaz today. As expected, the car gets the all-new K15B petrol engine and carry over the DDiS diesel engine from the previous model. The big addition is the SHVS micro-hybrid technology as standard across the range. Additionally, it is interesting to notice that the diesel variants of the new car are cheaper than those of the outgoing model by about Rs. 50K. With all the added features and stonker of a price, Maruti has definitely created a huge problem for its competition. As reported by us earlier, the majority of the changes have been made on the front and rear of the car. The sides remain majorly the same. The front will now get a completely redesigned grille. It will feature chrome garnish on higher variants. 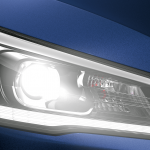 The headlights now will be all LED units with DRLs on the top trim. 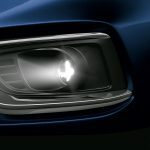 Additionally, the car will get LED foglamps too. 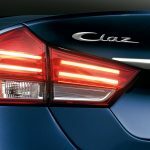 This will give the new Ciaz an all white light signature. The front bumper is also newly designed and will have chrome surrounds around the fog lamps in top trims. The rear bumper is also slightly tweaked and will feature chrome surrounds around the reflectors. Though the design of the tail light is very similar to the old one, it will now be a full LED unit. 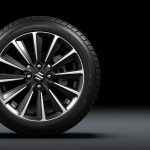 The top variant will also get all new 16-inch dual tone grey alloy wheels. There have also been some enhancements to the equipment level of the new car over the older one. The car now gets a speed alert system and seat belt alert for both passengers. Additionally, it will also feature front two airbags, ABS, parking sensor & camera, a touchscreen infotainment system with Android Auto and Apple Car Play, headlight auto levelling device and cruise control. The Automatic variant of the car will also feature electronic stability control and hill hold assist. 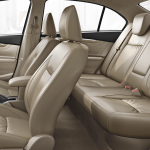 The new Ciaz will feature leather upholstery, birch blonde wood finish and satin chrome accents to give it a more premium look. As expected by us earlier, the car now gets a coloured MID, very similar to the one on Baleno. Features like auto climate control, push-button start, rear AC vents, rear sunshade, Isofix etc. will be carried over from the older model. The most exciting upgrade given to the new Ciaz is the all-new K15B 1.5L petrol engine with SHVS micro-hybrid technology. This engine will produce 104BHP and 138NM torque. This is 12BHP more than the outgoing model. It will come mated to a 5 speed MT and a 4 speed AT. This AT is an old unit and it would have been great if Maruti would have replaced it with a more modern version. 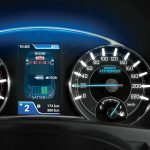 The micro-hybrid system on the petrol version is a two battery system unlike the single battery one on the diesel car. As per Maruti, the ARAI fuel economy figure for the petrol car is mouthwatering 21.56Km/L for MT and 20.28 Km/L for AT. The diesel engine continues to be the DDiS 1.3L engine producing 90HP power and 200Nm torque. This will come mated to a 5 speed MT only. There is a speculation that this engine will get replaced by a 1.5L 4 cylinder diesel unit, which is under development currently. At this price point and with many added features, people will soon be beelining in front of the Nexa showrooms to book the new Ciaz.